If you are already tired of tools that do not have the capacity to perform their intended uses, you should switch to more reliable ones. Husky HVLP Spray Gun features stainless steel needles for maximum reliability. It also has a precision spray cap for a perfect paint pattern and atomization. 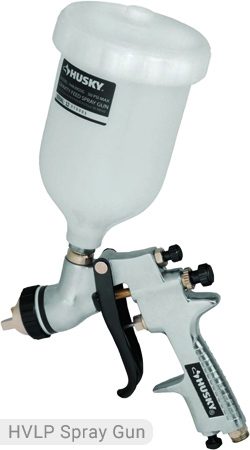 If you want your tasks to be of high-quality, this spray gun is your best choice. The high volume-low pressure (HVLP) technology of this spray gun ensures the efficiency of material transfer. It also eliminates paint waste and would only require a low air volume so you can use it for longer run time. If you will be doing high volume paint application for car refurbishing, industrial, and woodwork tasks, you can rely on Husky HVLP spray gun to do the job for you. A simple reminder: this spray gun is not compatible with latex paint. The types of paint that are compatible with this Husky HVLP spray gun should be thin enough. Because this tool is ideal for a professional finish, it can also be used with a stain and a clear sealer. You need to be careful though when you are spraying solvent-based lacquers because of the risk of explosion. This model can spray Plasti-Dip paint. It is very easy to use and it gives the user total control over it. You just have to be patient in learning how to use the controls for the type of design that you want. 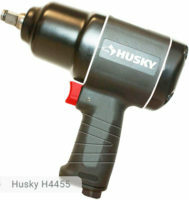 The paint cup size of the Husky HVLP spray gun is up to 600 cc. The tip size is 1.4 mm and 1.8 mm making it the perfect tool to use for intricate designs and patterns. The average air consumption at the recommended operating pressure of 40 psi is 4 CFM. This is a pneumatic tool so needless to say, you would need an air compressor. A minimum of 20-gallon tank capacity is required to operate the tool. For continuous use, it is recommended to use air compressors with more than 30 gallon of storage capacity. 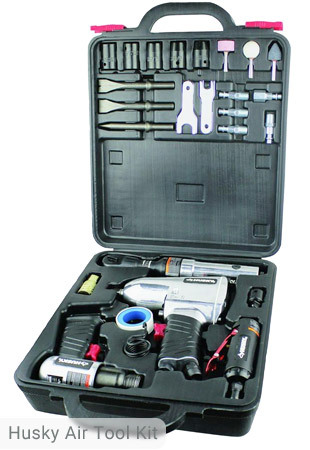 Because Husky values your money and satisfaction, this unit comes with a cleaning brush set and multi wrench. You can easily clean the gun using the brush set. The housing is made of aluminum for durability. It only weighs 1.35 lbs. (including the paint cup). It is very lightweight and has a compact structure. You can easily put it in or out of your storage box. 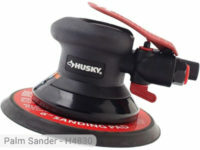 Like all other Husky Spray Guns, this unit is very user-friendly because the controls are located at the rear of the gun. This allows both right and left hand users to operate the tool comfortably. The trigger pull is smooth making it very convenient to use. 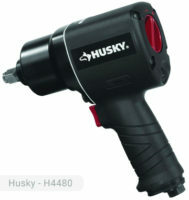 For less than $50.00, you can already buy Husky Gravity Feed HVLP Spray Gun. It is time to ease your burdens of having to use tools which are not reliable enough. Your paint jobs would surely receive compliments if you use this spray gun. If you already own Husky H4840GHVSG model or just want to buy it, feel free to share your review or ask a question through the form below.